It may seem like winter’s still far off, but now is the perfect time to buy a snowblower: the air is still relatively warm, there’s no snow on the ground to deal with, and it’s always easier to plan farther in advance. The closer you wait until snowfall, the more likely you’ll be to make a rush decision and miss out on the snowblower that’s right for you. Buying a snowblower isn’t about getting the fanciest-looking piece of equipment on the block, it’s about buying a tool that’ll most efficiently clear your driveway. All snowblowers clear snow, but like buying a comb versus a brush depending on how much hair you have, snowblowers are the same. Single Stage Snowblowers or Two Stage Snowblowers? Starting off with the most basic ones, single-stage snowblowers are perfect if you have a relatively small driveway and don’t receive much snow (re: the opposite of living in Minnesota). They come in two different kinds, recoil and electric, and picking one depends on whether or not you want to use an electric cord or just straight gas. Some good choices for single stage snowblowers are the Ariens Single Stage Electric 136E and the Toro Electric Start 418 ZE, both perfect for their easy size and weight. But if you live in a more Minnesota-like area, a two stage snowblower is able to handle a heavier load. Two stage snowblowers have bigger engines which are more capable of a larger snow intake- something that is overkill for 4″ of snow on your property. 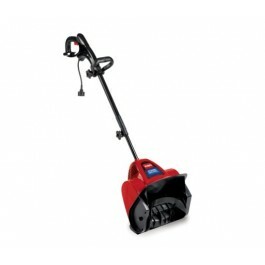 To efficiently clear your driveway of snow, check out the Toro Electric Start Two Stage 928 OE, a compact beast of a machine that’ll get the job done but won’t break your wallet. On the Ariens side, their Platinum 24 Electric Start checks off a lot of boxes, making it a great machine for many different tasks. 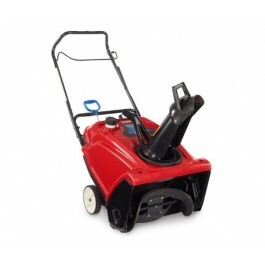 The benefits of an electric start snowblower are obvious: it’s environmentally friendly, the power can be quicker to cut off in case of an emergency, they’re perfect for smaller drives and they can also be started by recoil. The Ariens AMP 24 Two Stage Electric Snowblower is quiet and features 6 forward and 2 reverse speeds, giving you more than enough to handle a decent snowfall. But recoil start blowers have their benefits, too. They have great manoeuvrability, you’re never going to run over the cord, and you’ll never worry about the cord being long enough to keep supplying power to your snowblower. Try the Toro Commercial Power Clear 721 R-C Recoil Start for a powerful machine that’ll clear enough snow to build a tobogganing hill. To get the best deal possible, check out our snowblower sale on Toro and Ariens snowblowers, plus an extended warranty or money-back offer if it doesn’t snow. Free shipping on all orders to the lower 48 U.S.! No tax on any orders shipped outside of Minnesota. For those of you who live in an area where winter snow doesn’t get too heavy (less than 8-10 inches) and your medium-sized driveway is flat and paved, a single stage gas snowblower will more than do the job. Switch to a single stage electric if you’ve got a shorter driveway and less snow (about 4-6 inches). 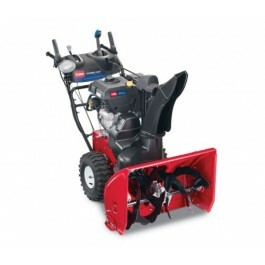 But beyond that, how are you supposed to decide which single stage snowblower is best for you? Check out the side-by-side product reviews of Ariens’ single stage snowblowers to narrow down the choices. So now that you have all the specs broken down, how does it all translate into the perfect snowblower for your home? If you’ve got a relatively small driveway and sidewalk, or if the closest electrical outlet is pretty close to the end of your driveway, go with a snowblower that’s small and an electric start. They’re lighter, get the job done, and blow the snow away easily when you don’t have too much space. Electric start snowblowers are also great if you’re either concerned about the environment or have visions of throwing out your back each time you bend down to yank the start cord. But if you’ve a little bit more space, or if the closest outdoor electrical outlet is farther away, go for a recoil start snowblower. They’re a little heavier, but only by 10lbs or less- the weight of a sack of potatoes or two small Chihuahuas. Likely, you won’t be lifting your snowblower often, if at all, so the extra weight will hardly be noticeable. 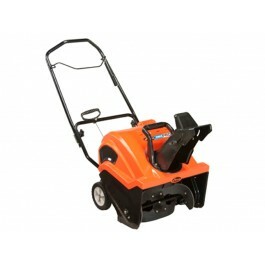 For more information on Ariens Single Stage Electric Snow Blowers, click here.